PASADENA, Calif. — NASA’s Mars Reconnaissance Orbiter is switching from one motion-sensing device to a duplicate unit onboard. The veteran orbiter relies on this inertial measurement unit (IMU) for information about changes in orientation. This information is important for maintaining spacecraft attitude and for pointing the orbiter’s large antenna and science-observation instruments. The spacecraft has two identical copies of this motion-sensing device, called IMU-1 and IMU-2. Either of them can be used with either of the spacecraft’s redundant main computers. Each contains three gyroscopes and three accelerometers. “The reason we’re doing this is that one of the gyroscopes on IMU-1 is approaching its end of life, so we want to swap to our redundant unit early enough that we still have some useful life preserved in the first unit,” said Mars Reconnaissance Orbiter Mission Manager Reid Thomas of NASA’s Jet Propulsion Laboratory, Pasadena, Calif. The orbiter began investigating Mars in 2006. Since completing its primary science phase in 2008, it has continued to work as an extended mission. The swap has been planned for this week, with procedures expected to take less than two days before the orbiter resumes its normal functions of science observations from orbit and communication relay for Mars rovers. IMU-2 has been used previously, but IMU-1 has been used much more. After the swap, IMU-1 will remain available if needed for short periods. 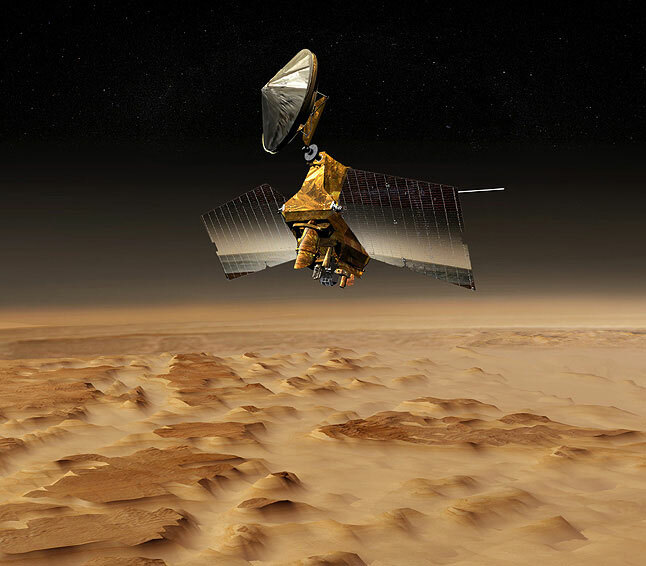 The Mars Reconnaissance Orbiter has provided more data about Mars than all other earlier and current missions combined. It also relays to Earth information from both of NASA’s active Mars rovers, Opportunity and Curiosity, sharing that function with the NASA Mars Odyssey orbiter. JPL, a division of the California Institute of Technology in Pasadena, manages the Mars Reconnaissance Orbiter for NASA’s Science Mission Directorate, Washington. Lockheed Martin Space Systems, Denver, built the orbiter and partners in its daily operation.